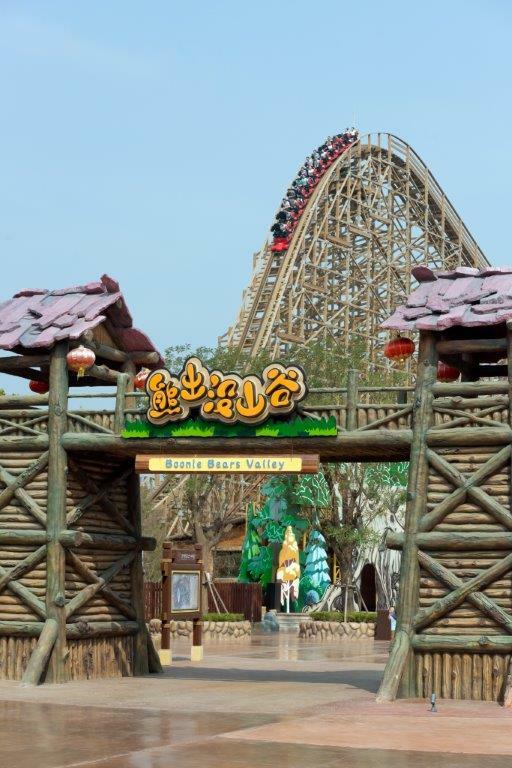 Jungle Trailblazer Jinan - Martin & Vleminckx Ltd. 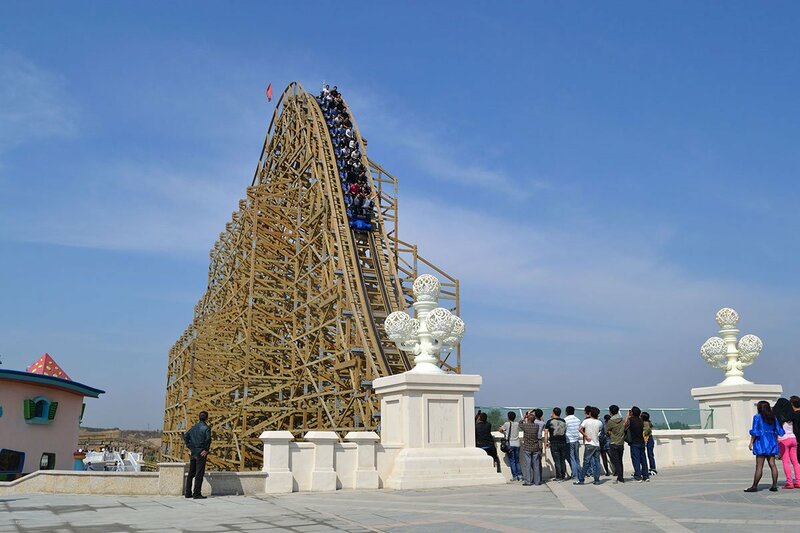 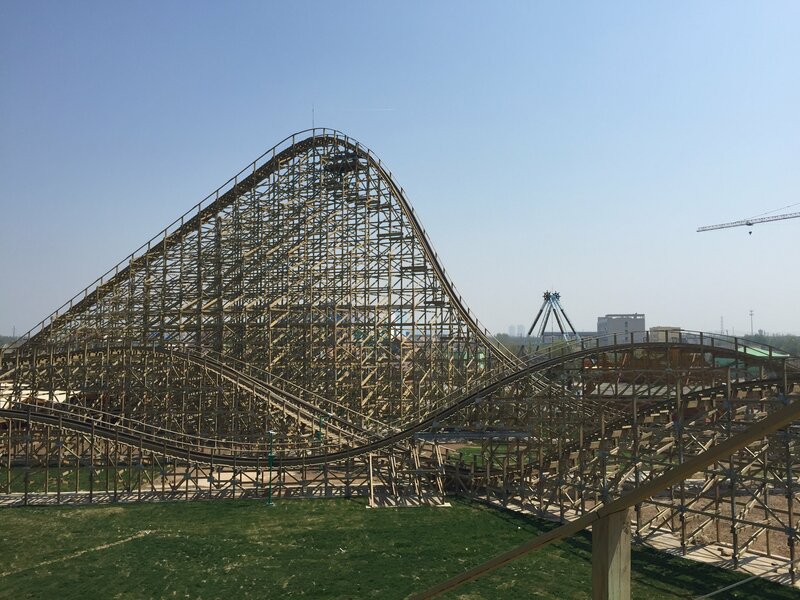 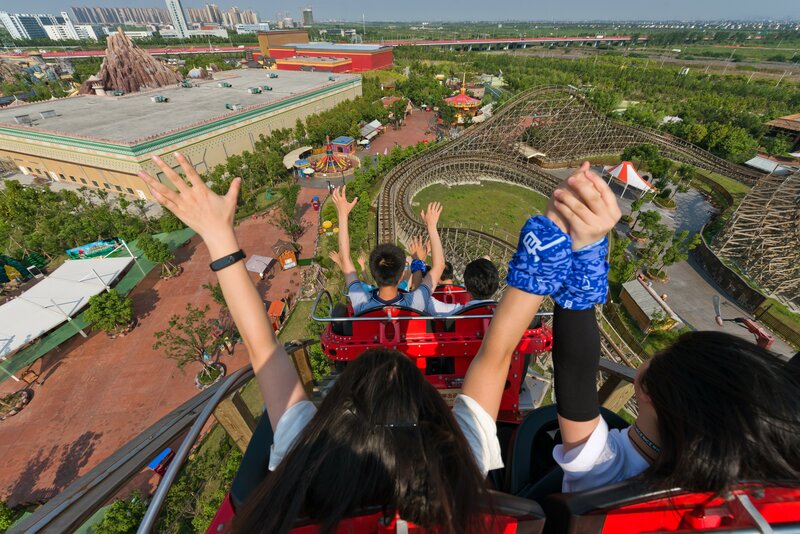 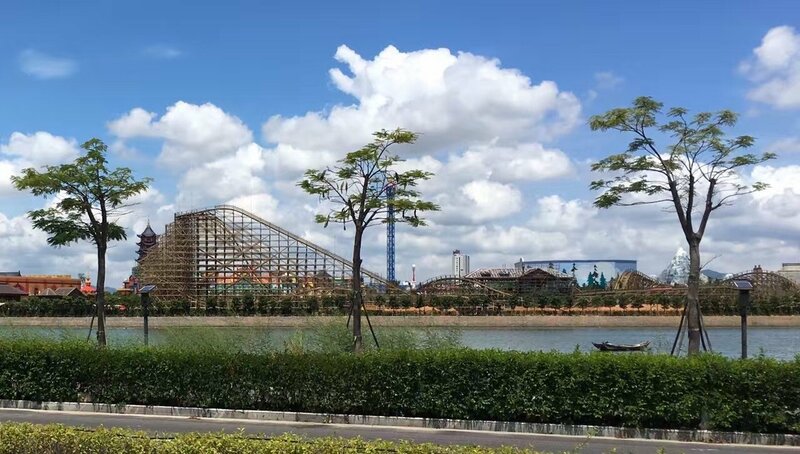 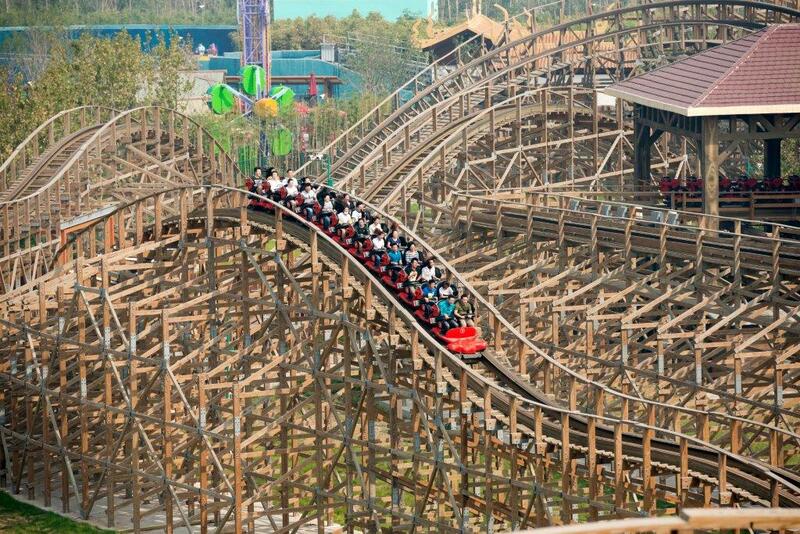 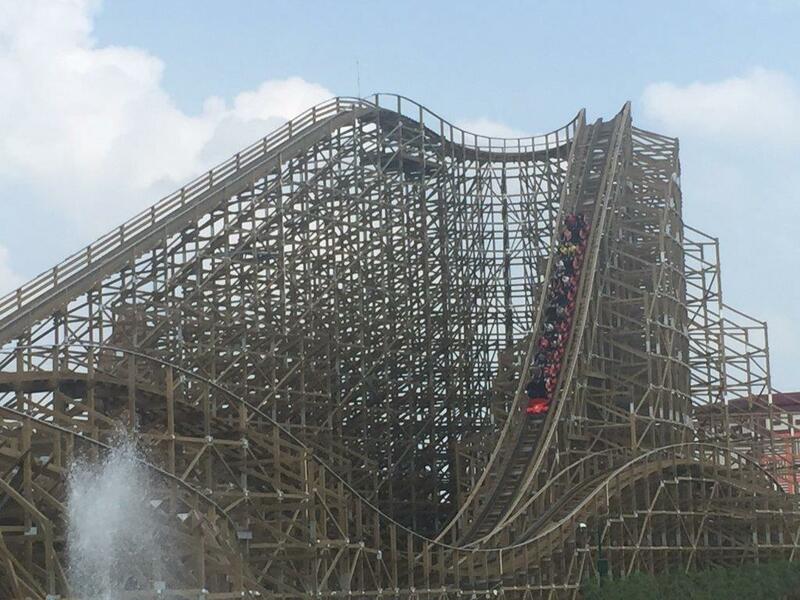 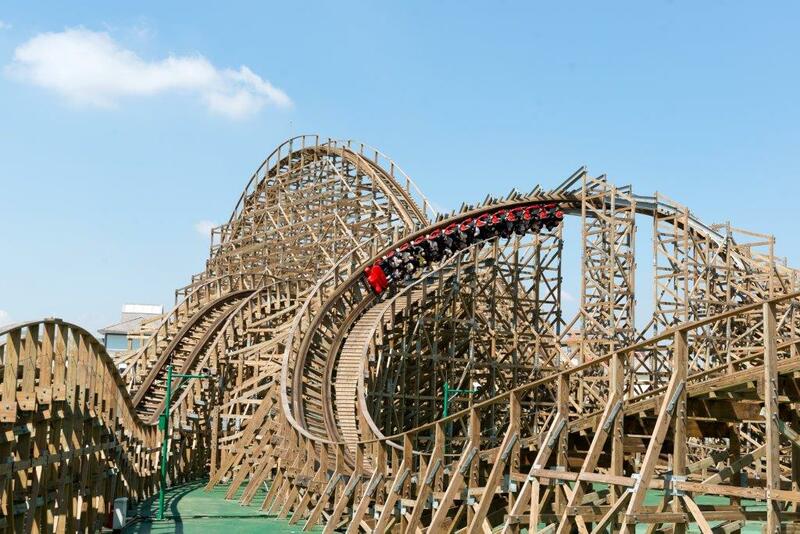 This ride features the first 360 degree barrel roll on a wood framed roller coaster. 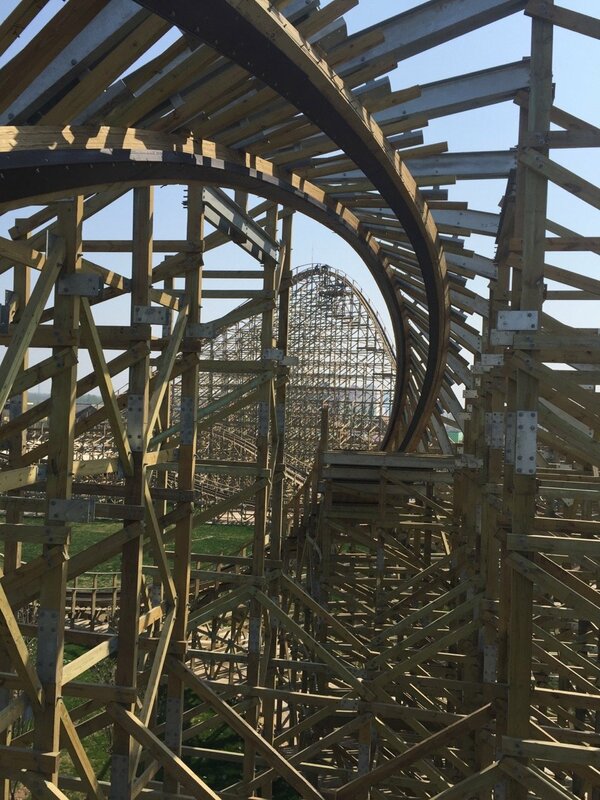 Low and fast with a lot of airtime and a 90 degree banked turn.